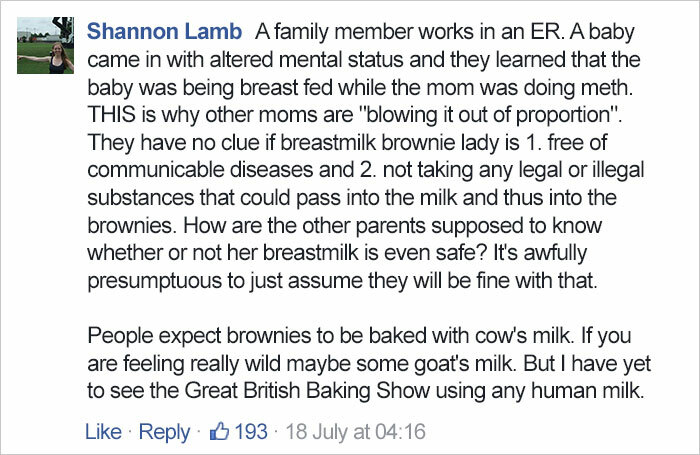 An anonymous mother used breast milk to make brownies for her kid’s school bake sale, and she doesn’t understand why people are disgusted by it. The mother supposedly didn’t have enough time to run to the store to buy milk so she just used “her own”. When other moms found out they were completely disgusted by her actions, and she doesn’t understand why. 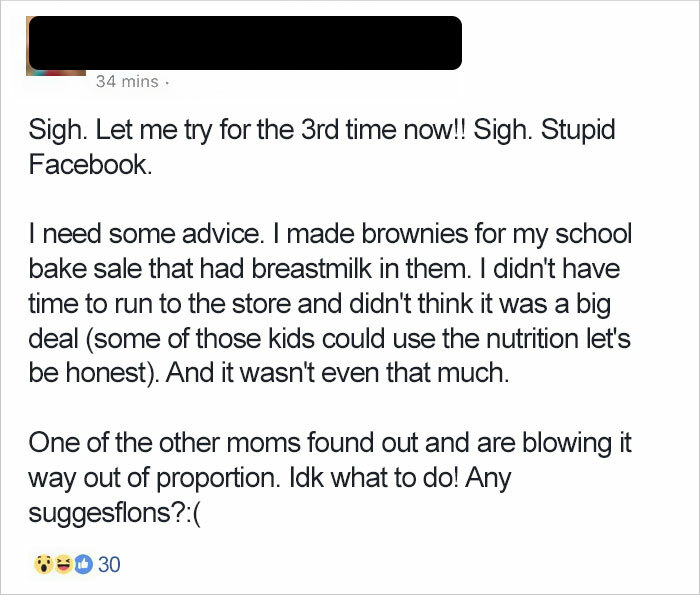 According to the anonymous mom, “some of those kids could use the nutrition”. So she foolishly turned to Facebook for some advice on what to do now that moms are angry, and her post was shared on the Sanctimommy Facebook page. The post has gone viral since with thousands of comments from outraged Internet users. Keep on scrolling to see the mom’s post and Internet users’ reactions. 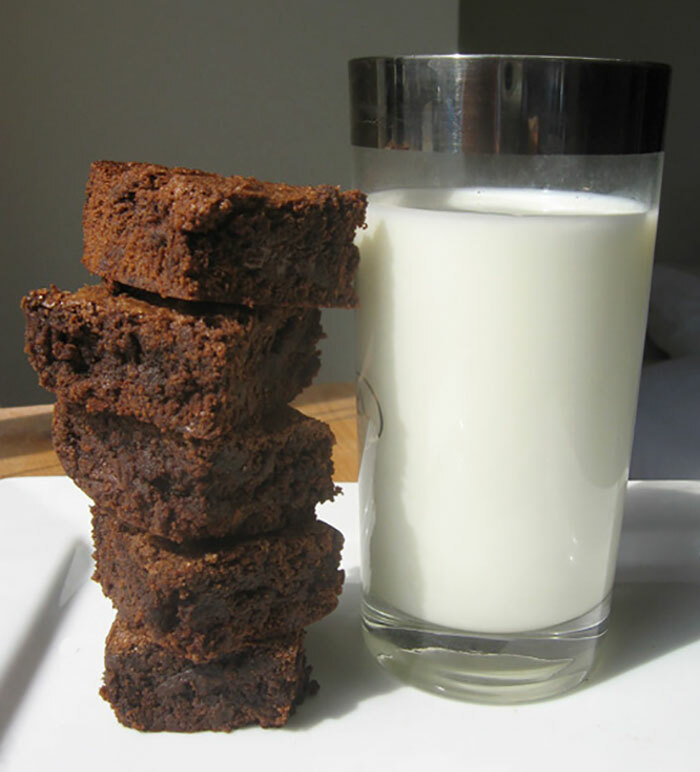 What do you think about these breast milk brownies? Let us know in the comment section below! 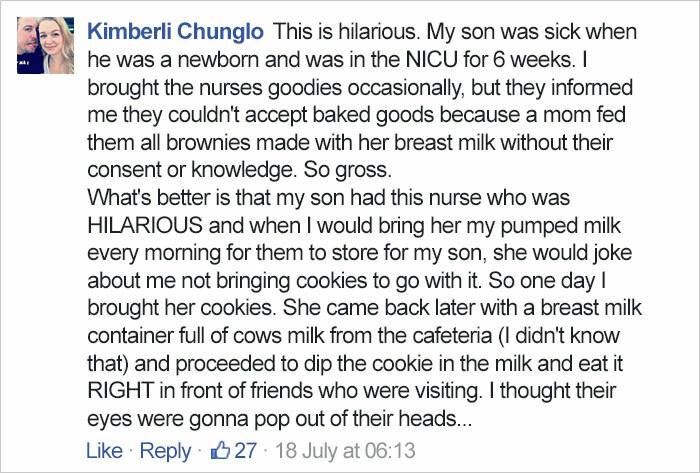 What do you think about these breast milk brownies? Let us know on social media!